UPSC invites application to recruit new candidates for various posts. All eligible candidates have to apply before 25 Sep 2015. Eligibility criteria & job description given below. 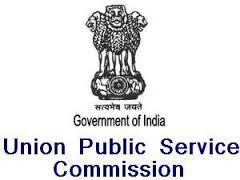 Union Public Service Commission (UPSC) is India’s central agency authorized to conduct civil service exams. Job Description : Selected candidates required to handle various projects i.e Accounting soft. or Data bank soft. For Post I : Candidate must passed B.E/B.tech/MCA (IT/CSE) (full time course) with minimum 65% marks from govt recognized university. Also require minimum 5 years experience (3 years as software developer & 2 years project designer). For Post II : Candidate must passed B.E/B.tech/MCA (IT/CSE) (full time course) with minimum 65% marks from govt recognized university. Also require minimum 3 years experience as software developer. Only shortlisted candidates will be called for an Interview. Please carry our original documents along with you at the time of interview. Eligible candidates should have to apply online through UPSC’s official website www.upsc.gov.in before 25 Sep 2015. Online registration form is available only up to 12:00 pm on 25 Sep 2015. Candidate should possess all the original certificates at the time of Interview. Note : Some new Govt jobs notifications will be updated soon. Visit regular on our website to get all new jobs recruitment notifications.